The FS450 is slightly unconventional in its use of a 16.5-inch front wheel. Luckily, the tires don’t need tubes. 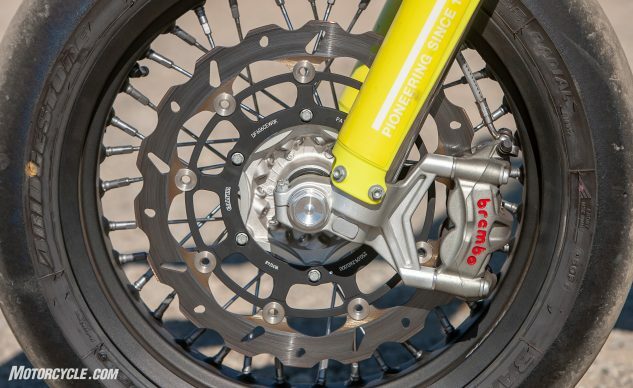 Note also the 310mm disc, steel-braided line, and Brembo M50 caliper.